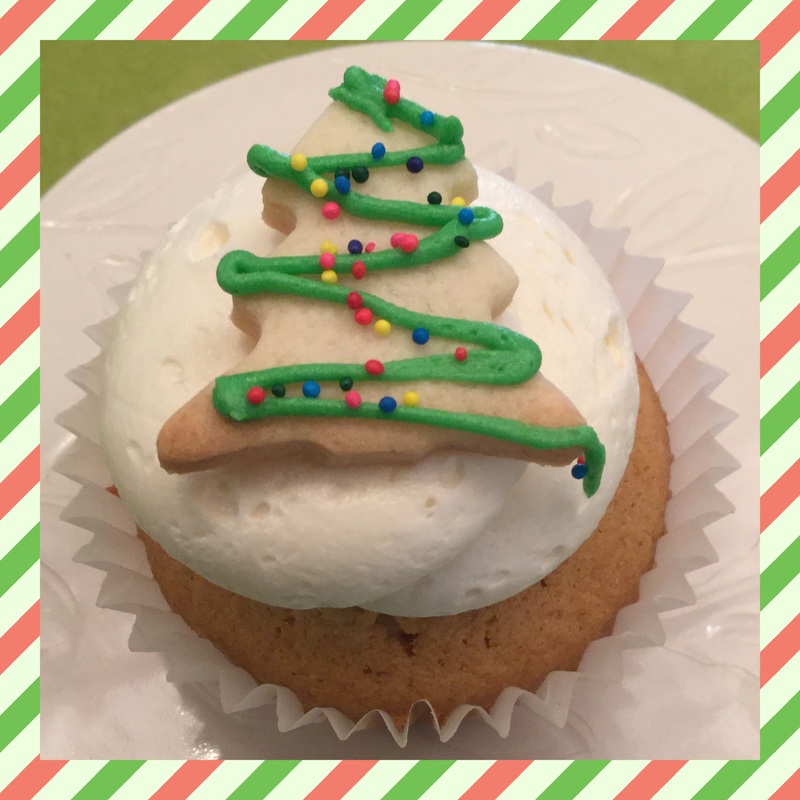 Bitten specializes in homemade classic and gourmet cupcakes and Whoopie pies. All of our products are baked that day (we never sell day olds) using only the finest and freshest of ingredients including fresh eggs, cream, fruit and citrus zests. Come visit our cheerful store and enjoy treats baked in the traditional way with some contemporary twists. Savour them immediately, take them home to a friend, order them for celebrations, or personalize them for corporate clients, we have all your needs covered. 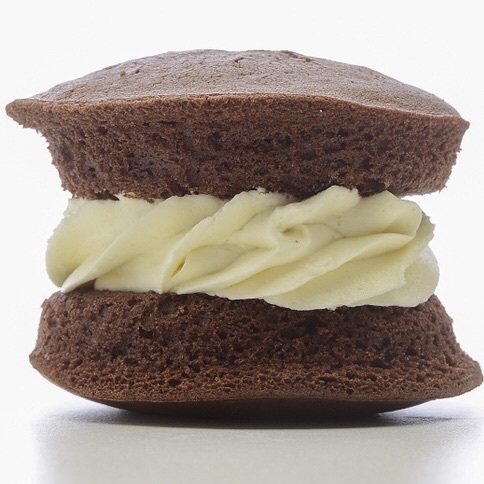 Let our cupcakes and Whoopie pies remind you that the best things in life are simple. 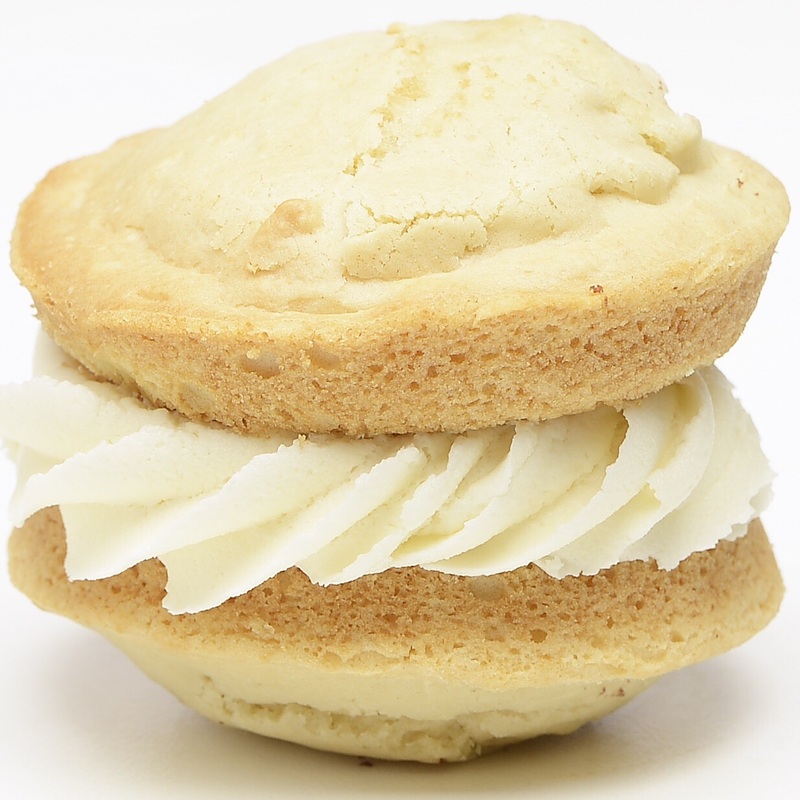 A cross between a cookie and a cake usually made with brown sugar and buttermilk and sandwiched with a creamy (usually marshmallow) buttercream. Also known as the Gob, Black and White and Big Fat Oreo. 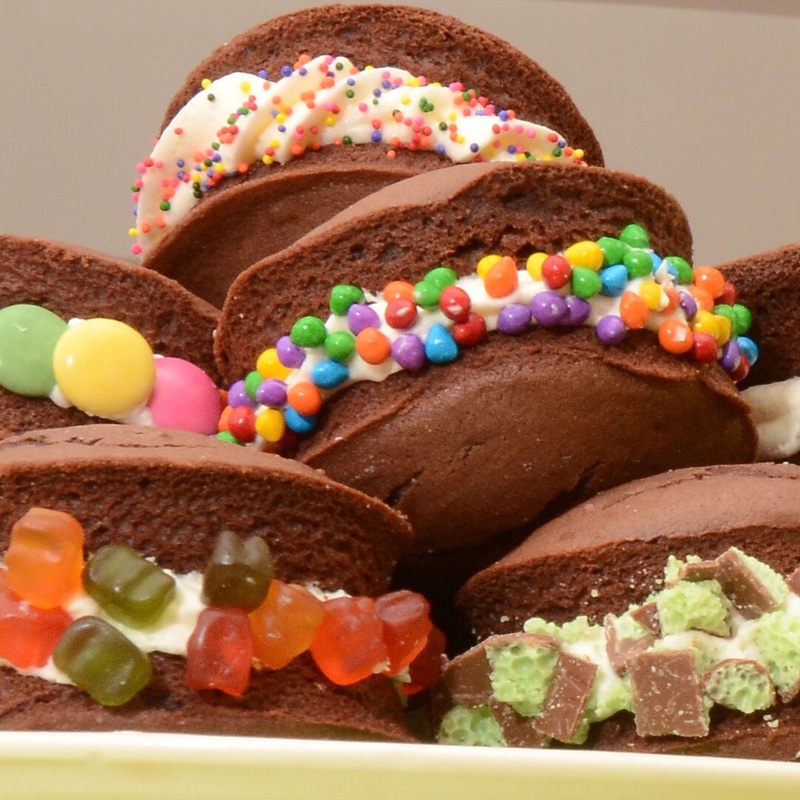 Like our cupcakes, at Bitten we have an extensive menu of whoopie pies for you to choose from. 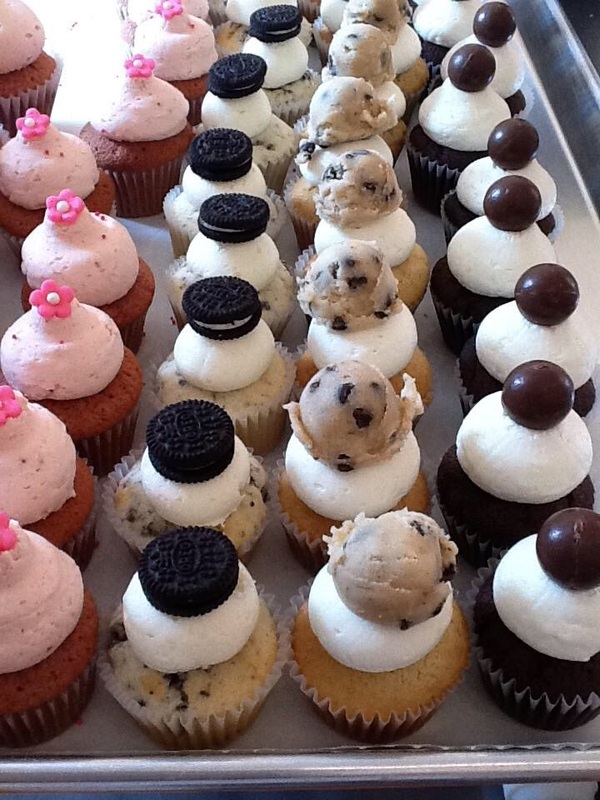 Everybody loves cupcakes! 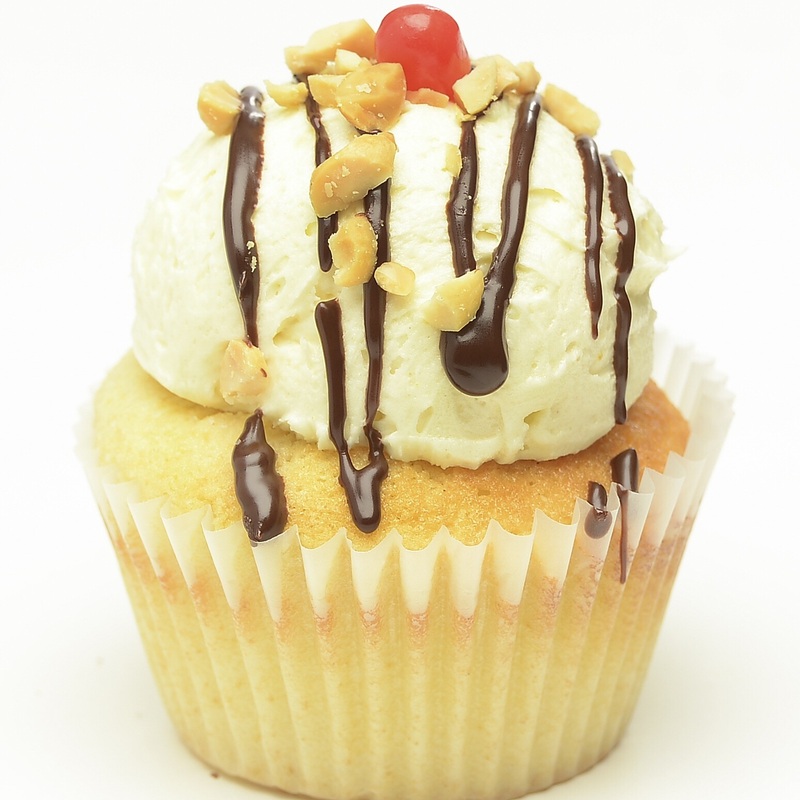 We sell a selection of our favorite cupcakes every day. You can also order from our extensive flavour menu. We bake in small batches with no preservatives, weird ingredients or shortcuts. 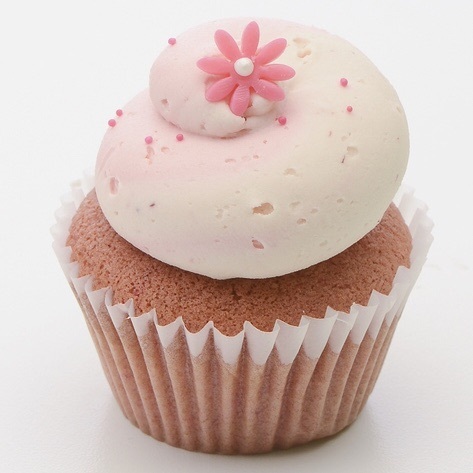 At Bitten we are dedicated to making sure you have the best possible cupcake experience! Looking for a twist on our classics? 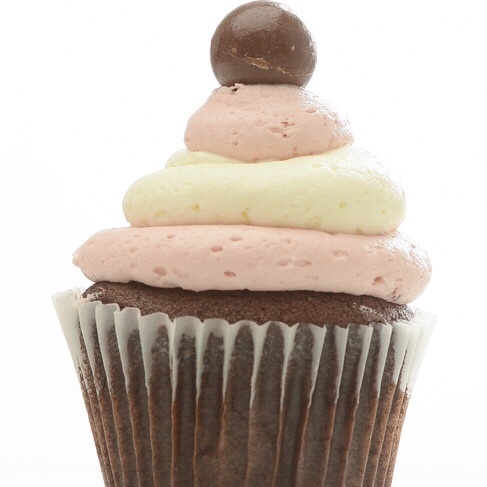 Our cupcakes and whoopies come in mini and always fun giant sizes as well. 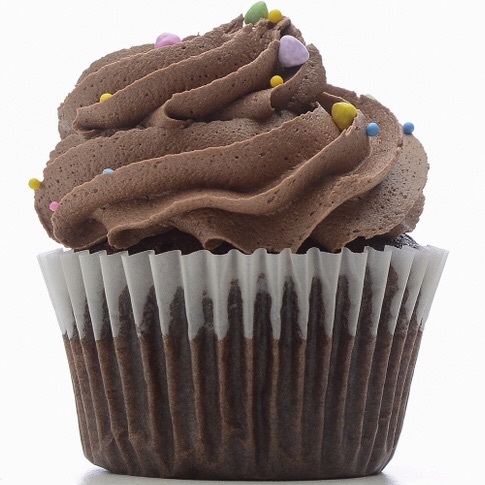 We also offer tear away cupcake cakes, push pops and cupcakes in a jar. All of which offer something different for gifts or celebrations. Two chewy oatmeal cookies filled with marshmallow buttercream. Yum! 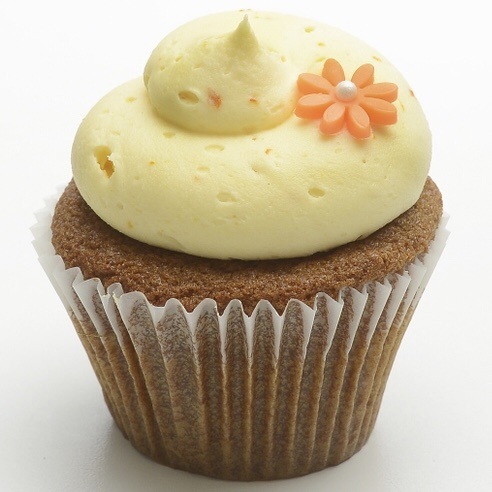 A pair of orange cakes and orange cream cheese icing make for a fantastic combination. 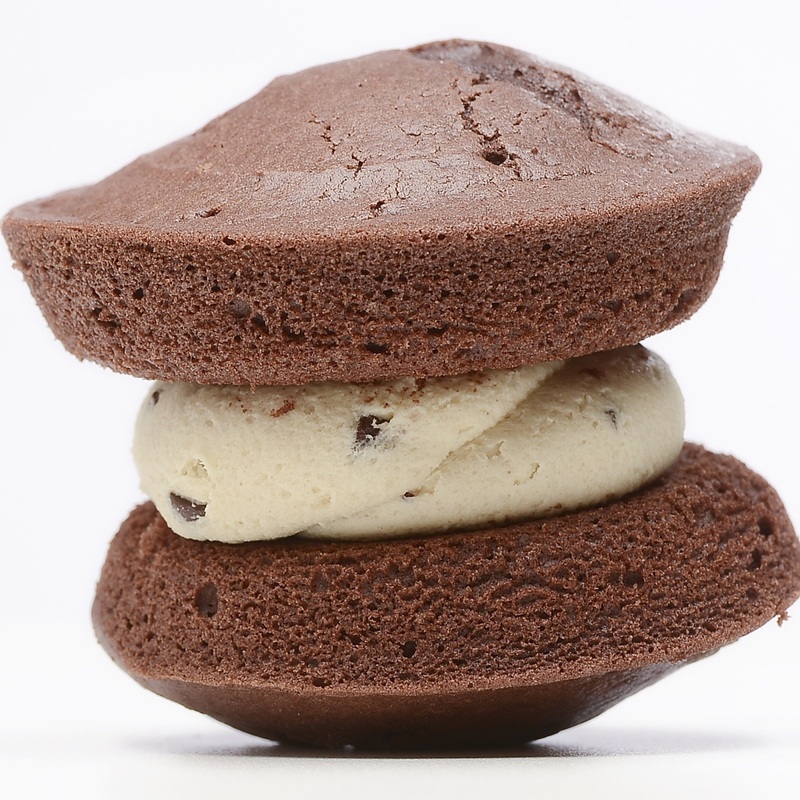 Chocolate chip cookie dough buttercream sandwiched between chocolate Whoopie pies. 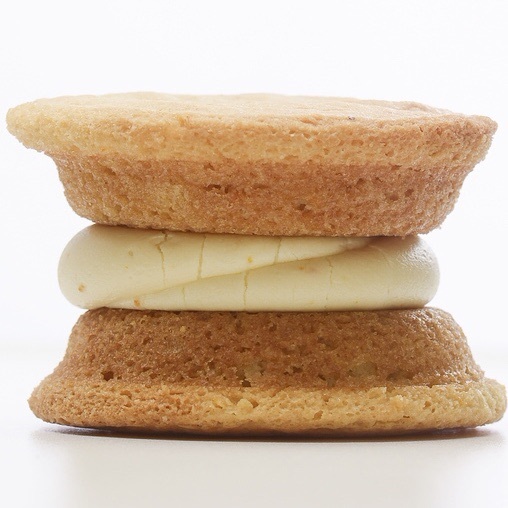 A sweet vanilla buttercream sandwiched between two cakes of ginger and spice and everything nice. Graham cracker crumb cake, marshmallow buttercream and chocolate ganache. 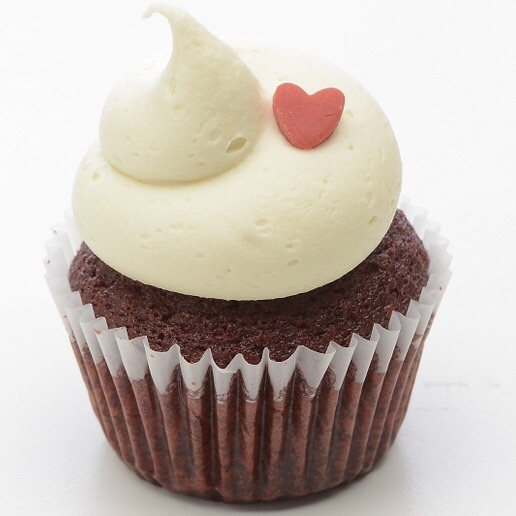 Brilliant red velvet, kissed with a hint of cocoa, filled with a cream cheese frosting. Too delicious to save just for Hallowe'en. 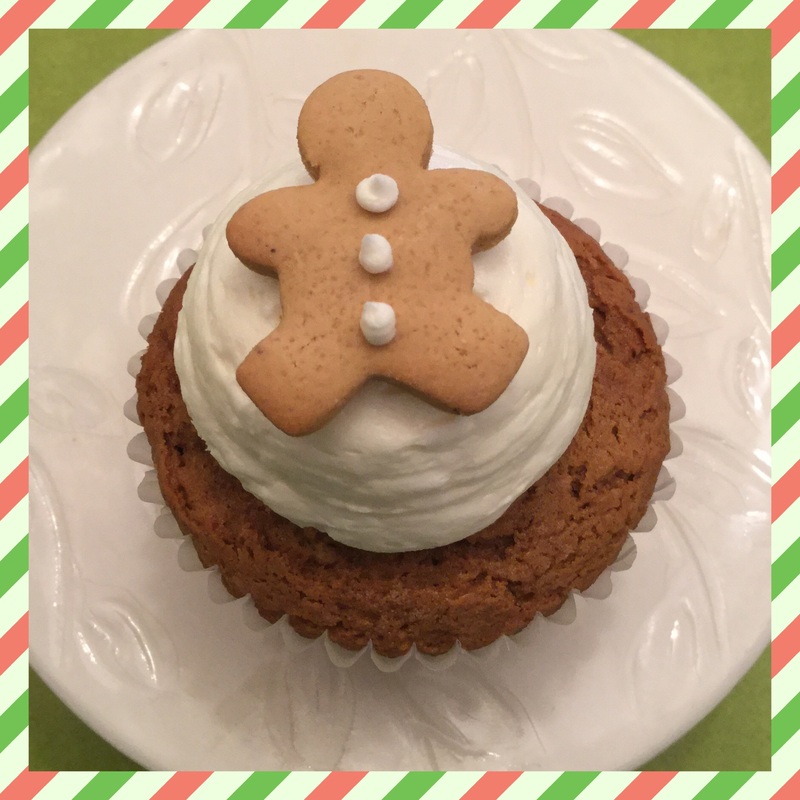 Pumpkin pies filled with a maple marshmallow buttercream. A brown sugar lemon cake filled with raspberry or marshmallow buttercream. Two moist banana pies filled with gobs of marshmallow buttercream. 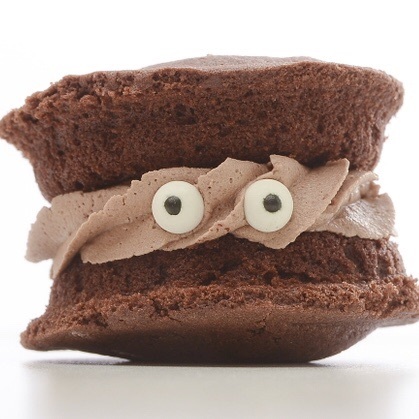 Two mounds of rich chocolate cake filled with a Nutella buttercream, finished with a pair of sugar eyes and a hint of personality. 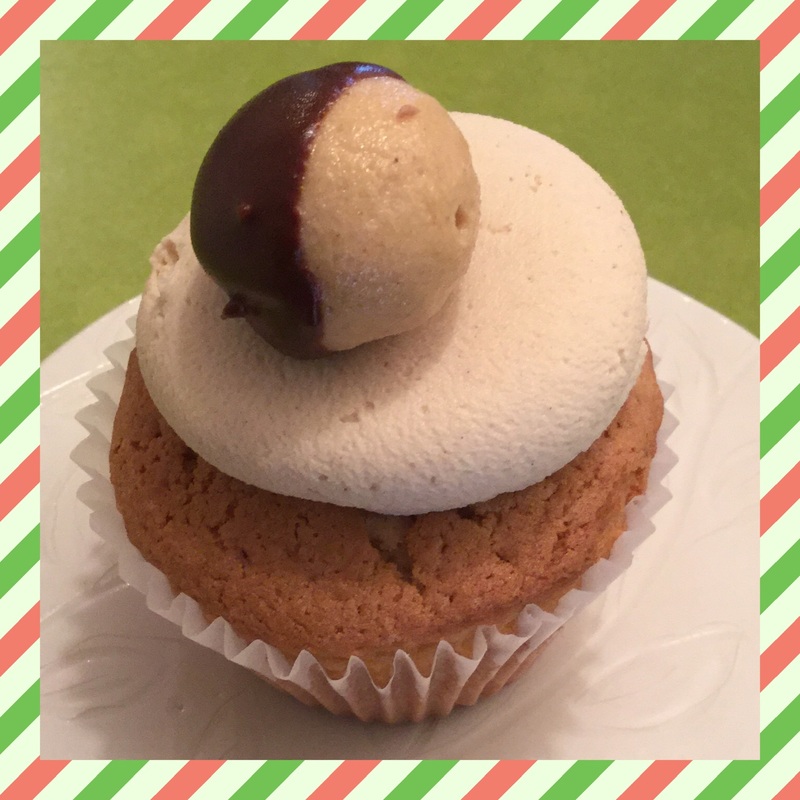 Peanut butter pies sandwiched with a peanut butter marshmallow buttercream. Nuts galore!!! 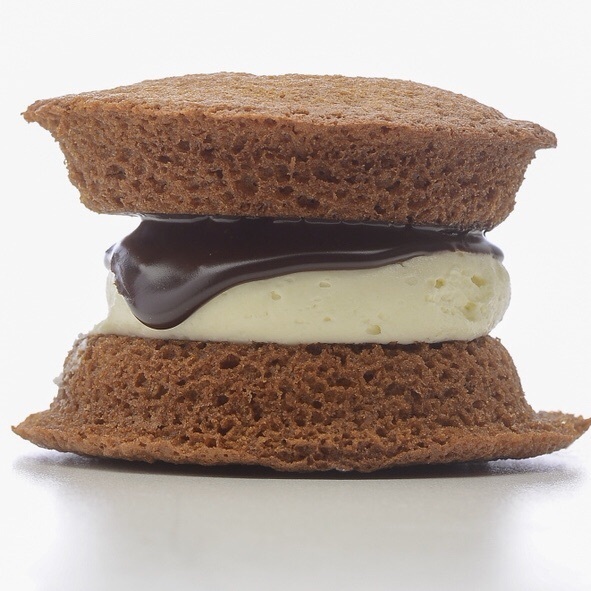 Two vanilla Whoopies sandwiched together with a scrumptious marshmallow buttercream. 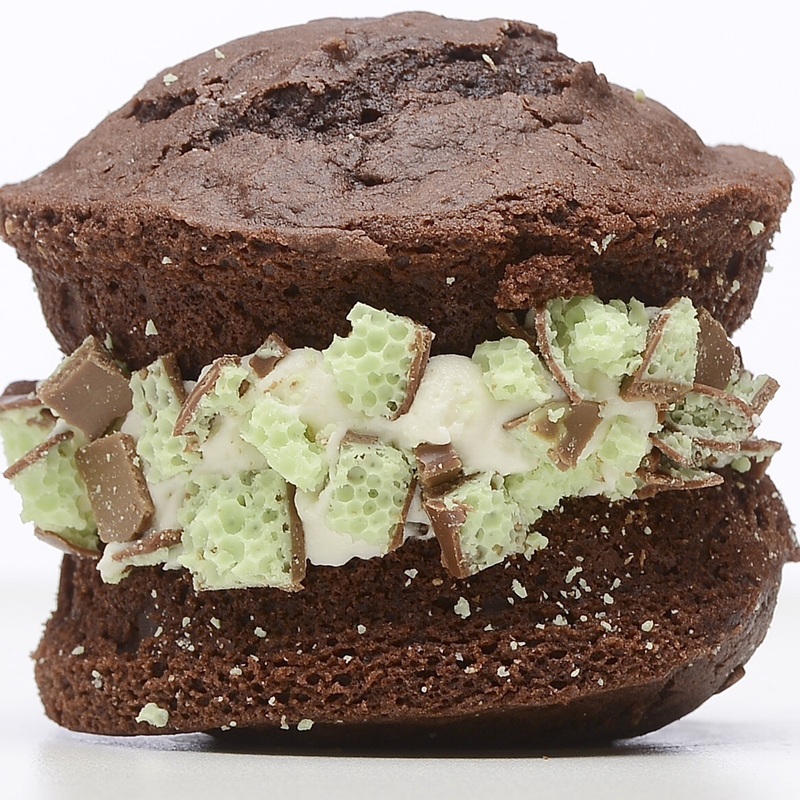 Our traditional Gob rolled in chopped Mint Aero. Our traditional Gob rolled in Smarties. Our Party Pie baked and rolled with English toffee bits. Blimey! Moist lime brown sugar cake filled with a refreshing lime buttercream. 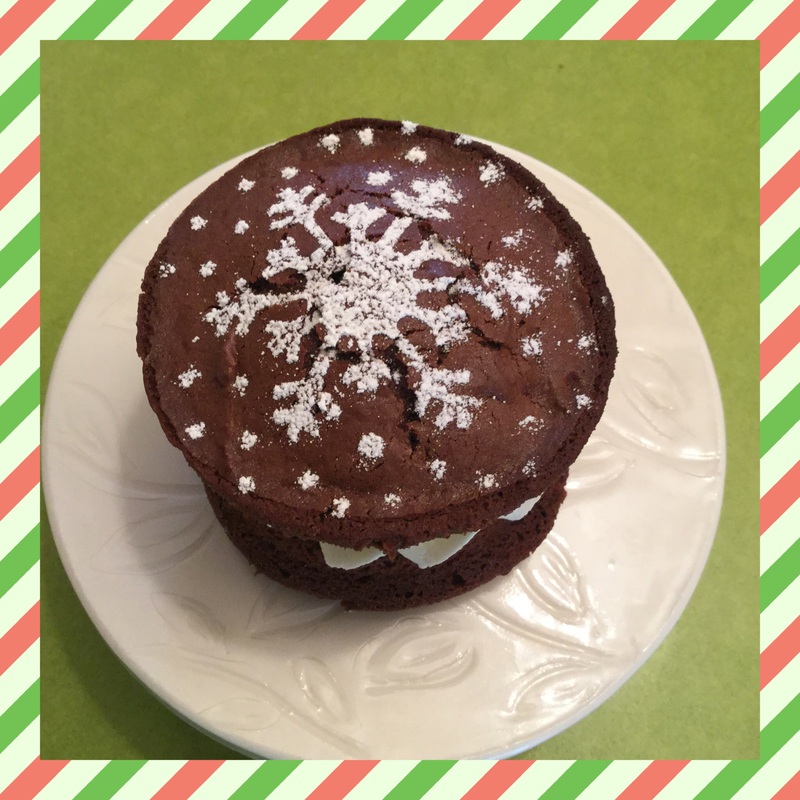 Rich chocolate cakes with a creamy marshmallow filling. Sugary sweet and seriously addictive. Made to satisfy any craving. Peanut butter buttercream and caramel sauce sandwiched between moist chocolate cakes and rolled in Fritos! 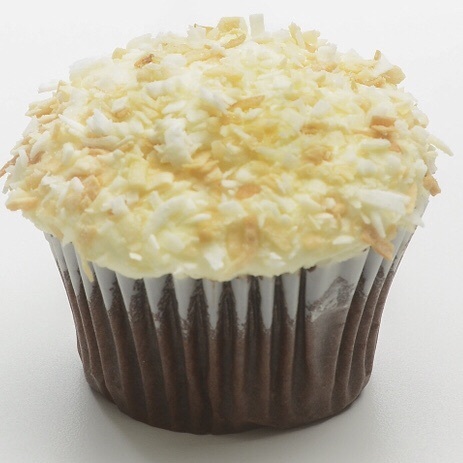 Chocolate cake, coconut buttercream and toasted coconut. 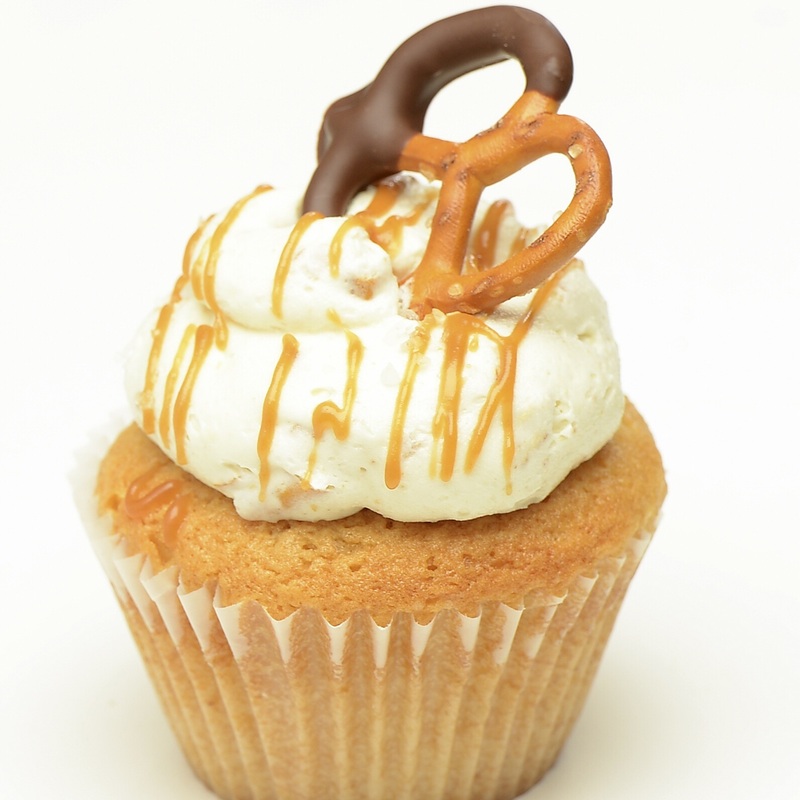 Salted caramel cake, pretzel buttercream, caramel drizzle and a chocolate dipped pretzel on top. Chocolate cake topped with chocolate mint buttercream and a wedge of After 8. That's banana split. 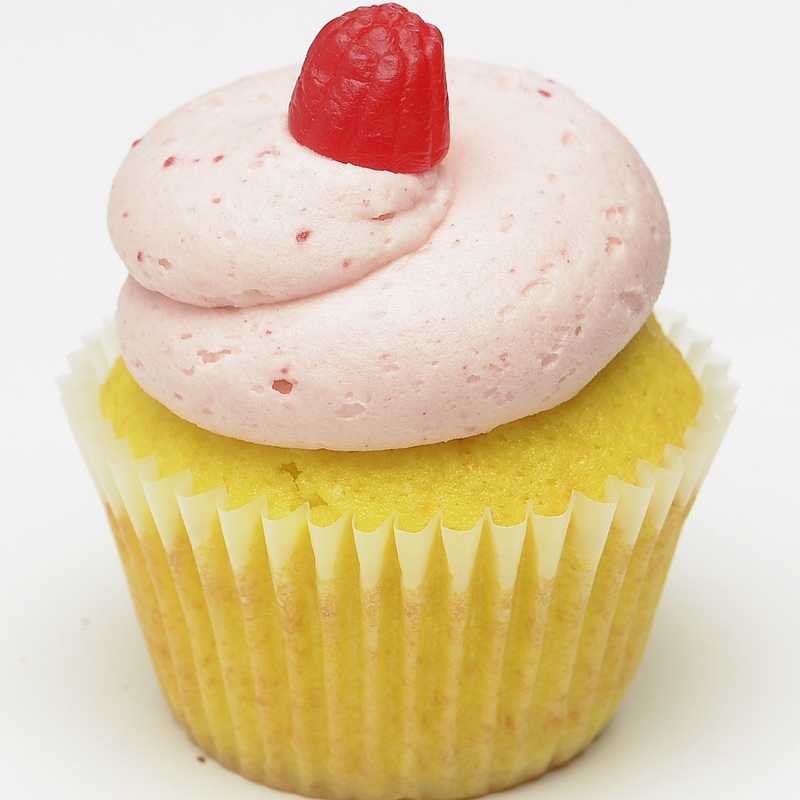 A vanilla cupcake filled with strawberry buttercream, topped with a fresh slice of banana, banana buttercream, chocolate drizzle and a cherry jellybean. 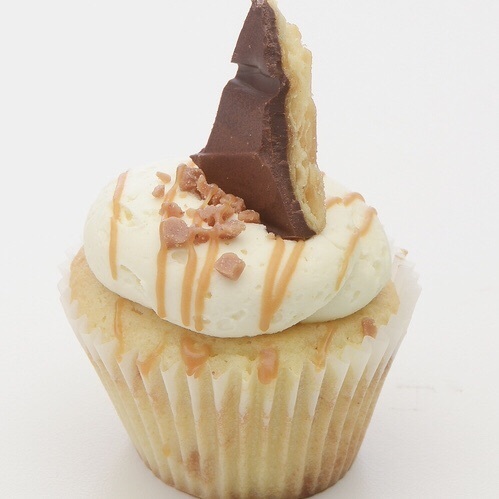 Moist banana cake infused with caramel, peanut butter buttercream, a chocolate shell and Skor bits. A strawberry cake made with real strawberries and topped with a real strawberry buttercream. 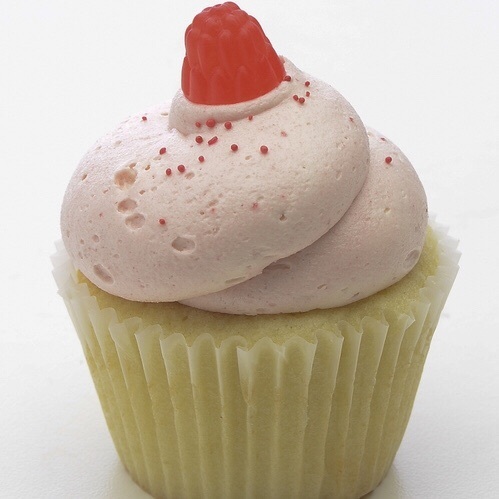 Our vanilla cake topped with a delicious raspberry buttercream made with real raspberries. Also available with a devil's food cake. A moist devil's food cake complimented with a chocolate buttercream frosting and lots of rainbow sprinkles. 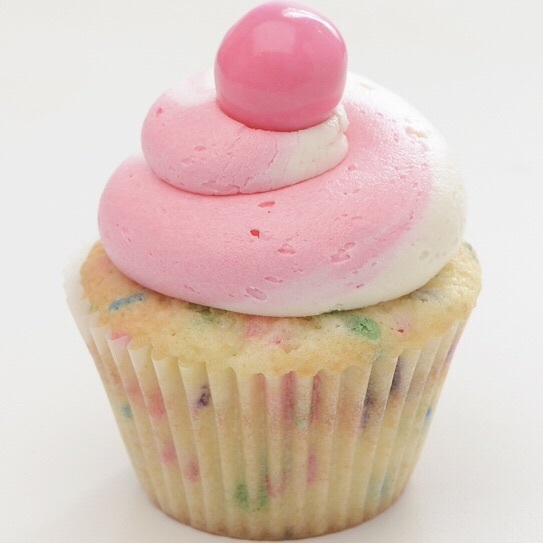 A vanilla funfetti cupcake swirled with a bubblegum buttercream and topped with a gum ball. 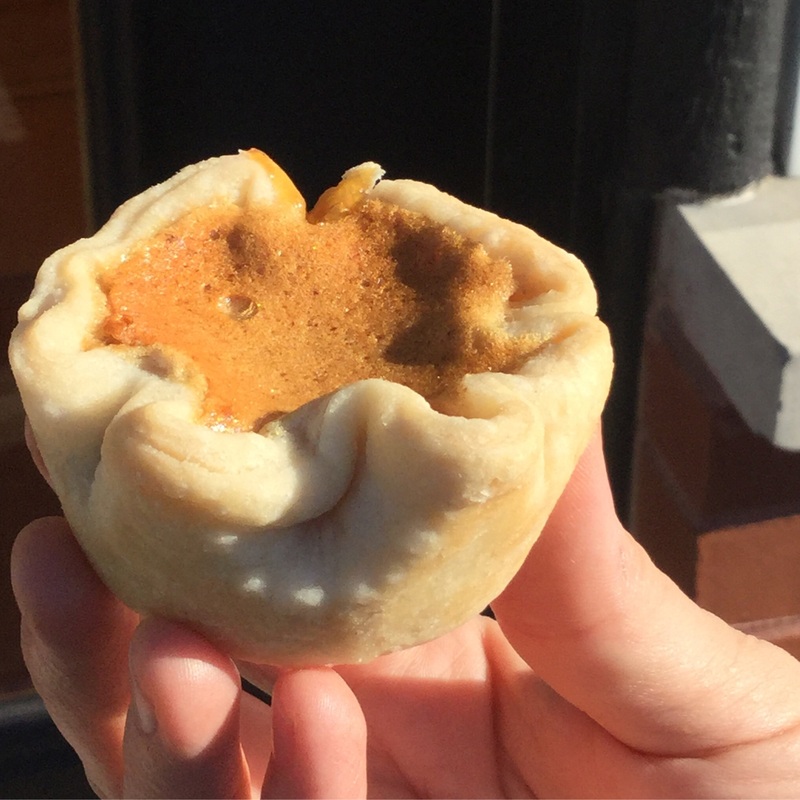 Store-made pastry and filling come together in this Canadian classic. 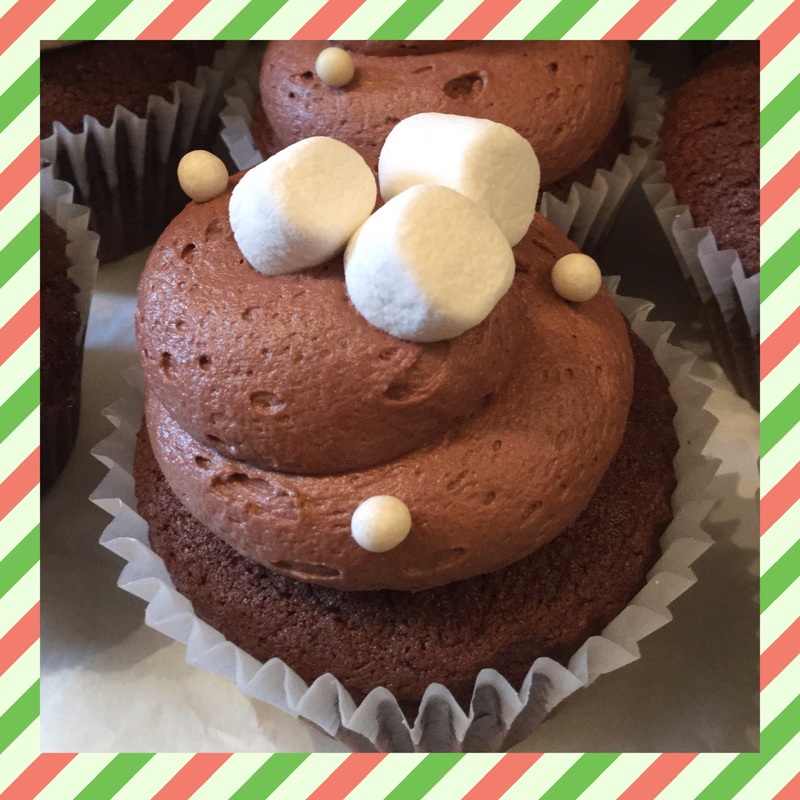 A delicious graham cracker cupcake baked with a wedge of chocolate and topped with marshmallow buttercream, chocolate ganache and chocolate crispies. 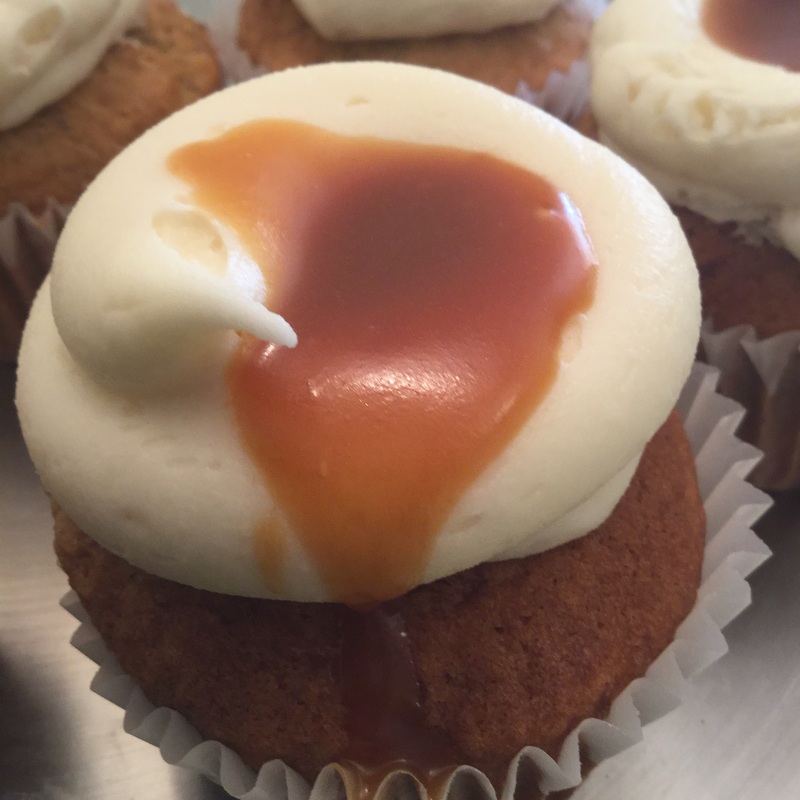 Banana cake, smooth cream cheese frosting, and a puddle of our homemade caramel sauce. 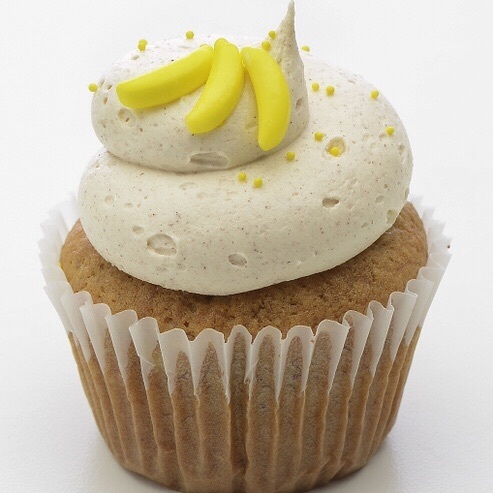 Fresh moist banana cake, frosted with a delicious cinnamon buttercream. 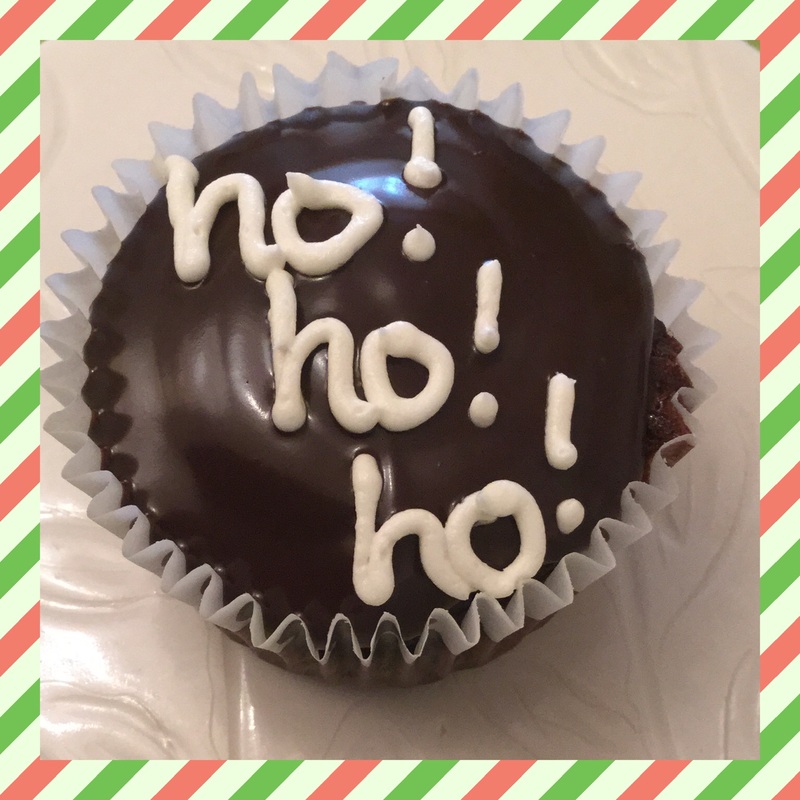 Chocolate cake, coffee buttercream and a powdered doughnut! A moist orange cake made with fresh orange zest and swirled with orange buttercream. 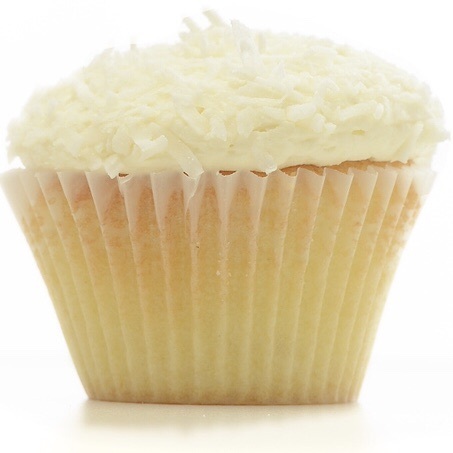 A light and fluffy coconut cake topped with a coconut buttercream and rolled in sweet flaked coconut. Our secret? Coconut milk. Chunks of Oreo cookies baked into a classic vanilla cake. 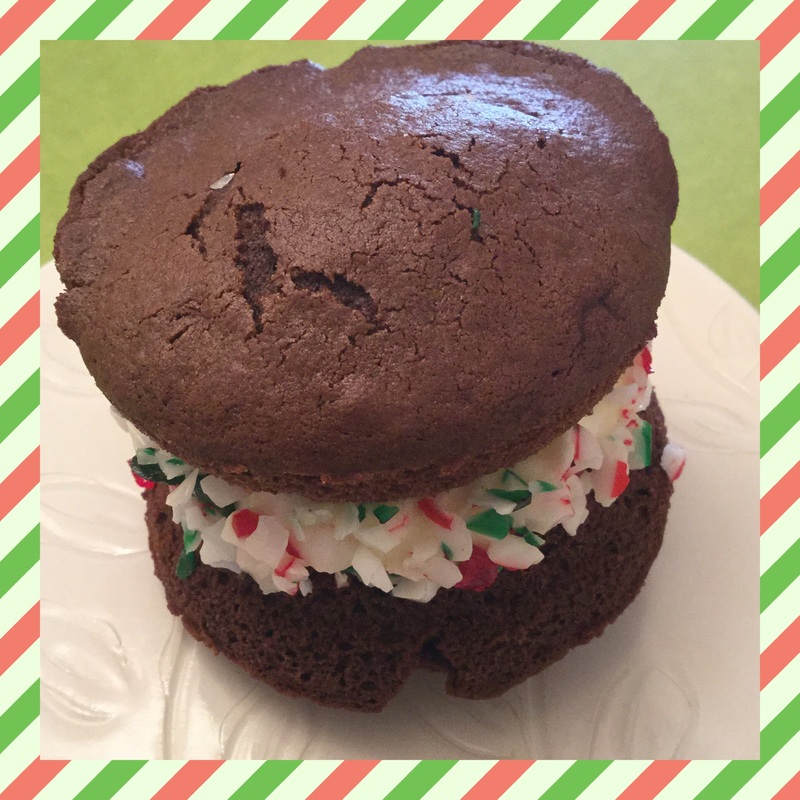 Topped with vanilla buttercream and a mini chocolate Whoopie pie. 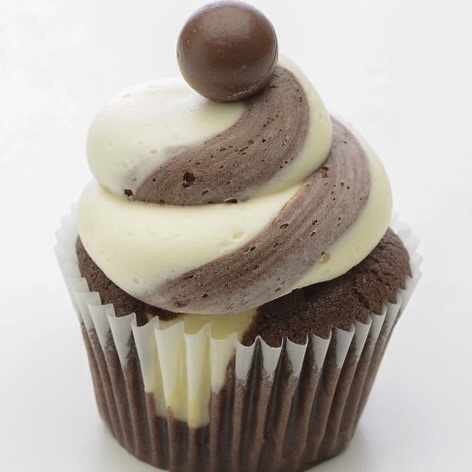 Vanilla cake topped with a swirl of coffee and marshmallow buttercream. Also available on chocolate. Cheesecake baked in our chocolate cake, covered with a chocolate cheesecake swirl. Vanilla cake infused with caramel, topped with a scoop of vanilla marshmallow buttercream, a soft chocolate shell and chopped peanuts. Tastes like the cone! 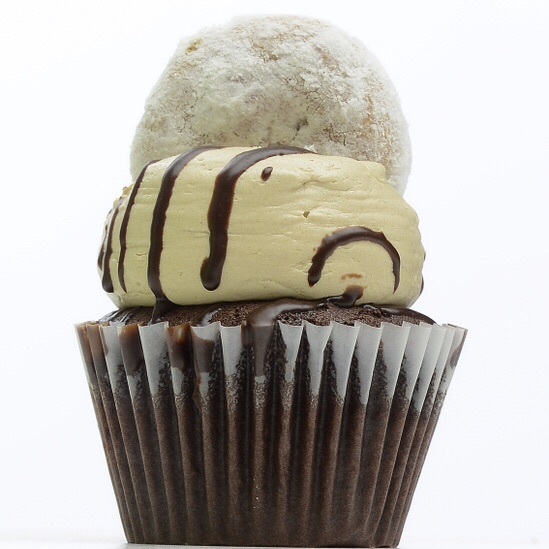 A chocolate stout cupcake drizzled with whiskey ganache, and topped with an Irish Cream buttercream. 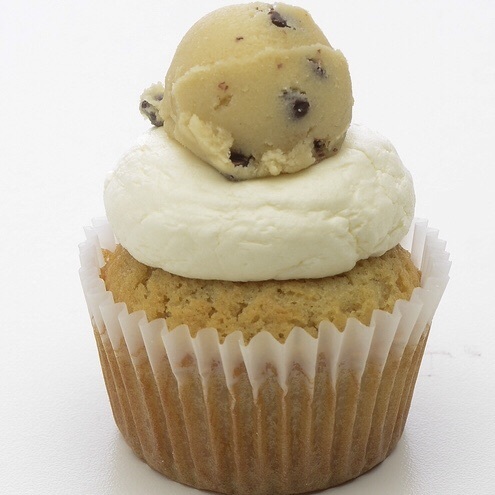 A golden cupcake filled with cookie dough, topped with vanilla buttercream and a ball of cookie dough. Oskee-wee-wee. 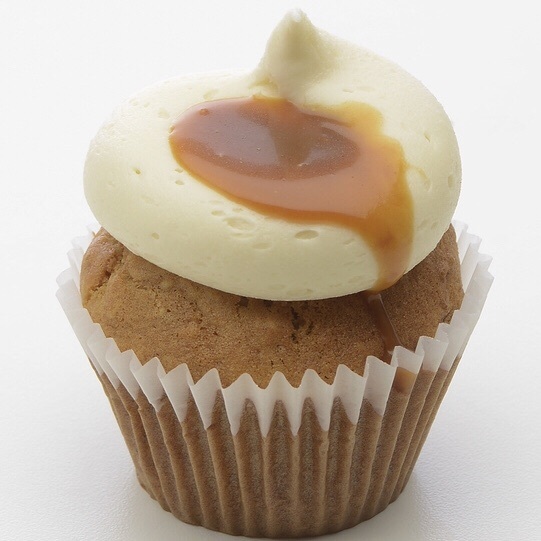 Four cups of maple syrup gives this cupcake a true Canadian flavour. Better than the original. 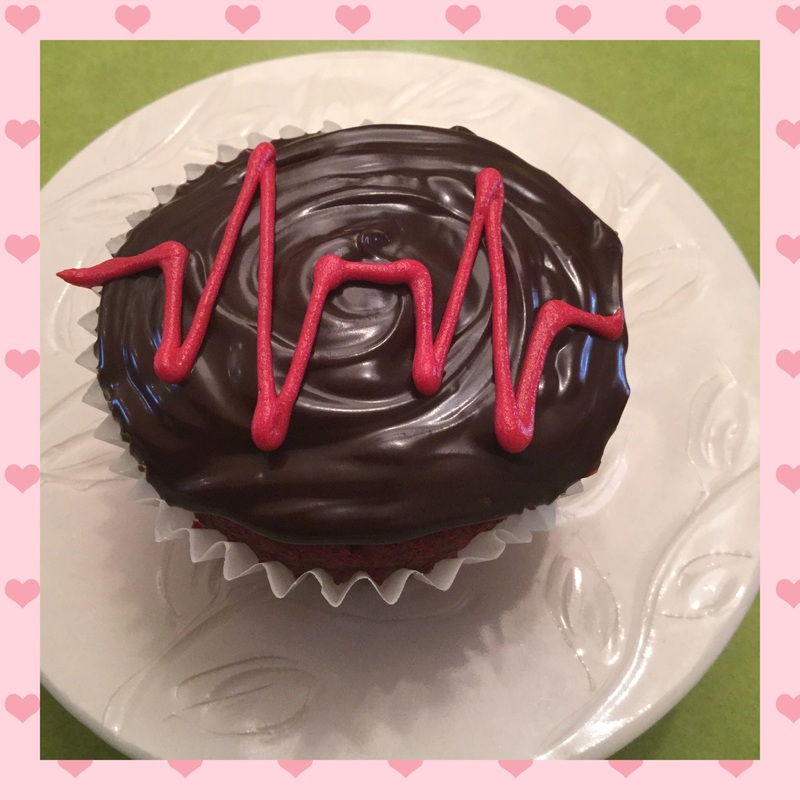 A decedent chocolate cake filled with a marshmallow buttercream, covered with chocolate ganache and decorated with a vanilla buttercream squiggle. 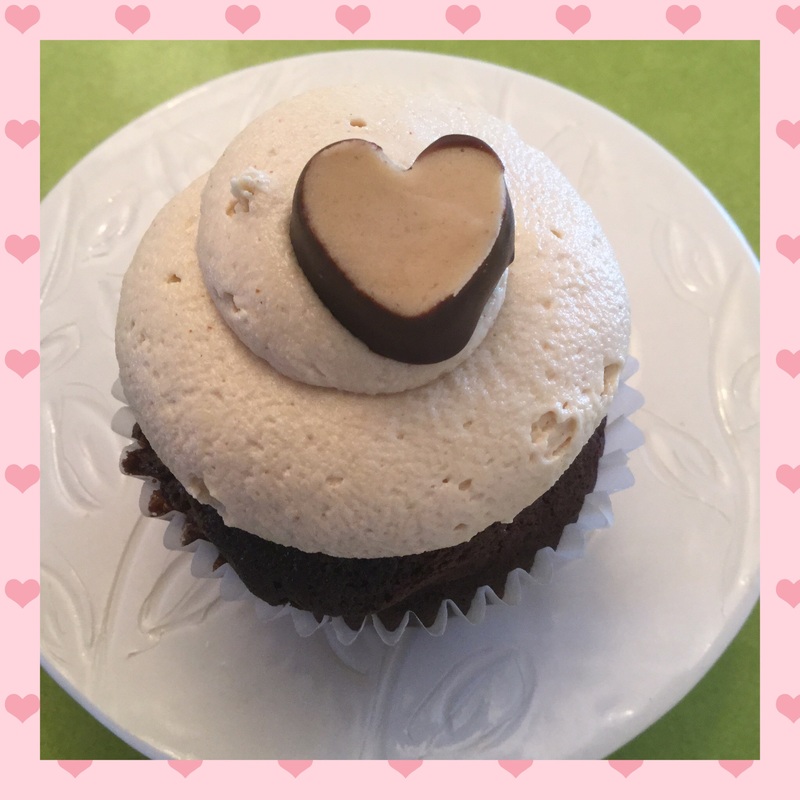 A peanut butter cake filled with marshmallow buttercream and topped with a peanut butter marshmallow buttercream. 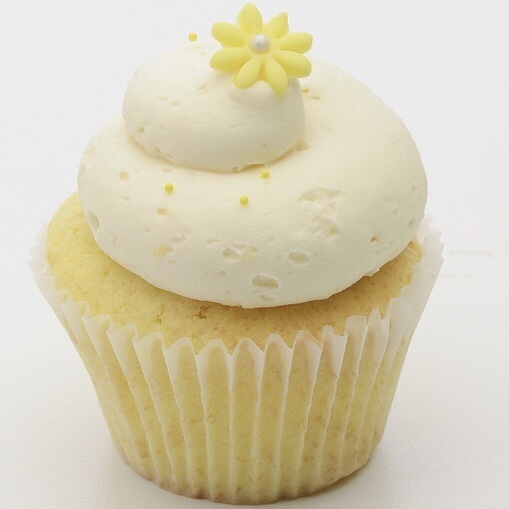 Delicious moist lemon cake made with fresh lemon juice and zest, and topped with a tangy lemon buttercream. Pucker up! 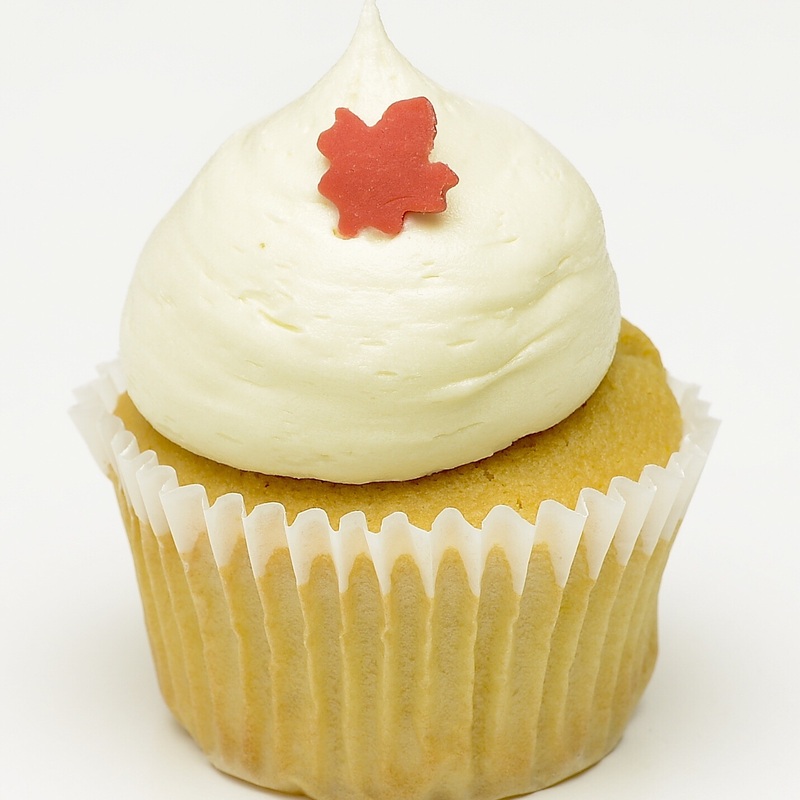 A classic ginger cake like Mom's topped with creamy orange buttercream. About as funky as it gets. 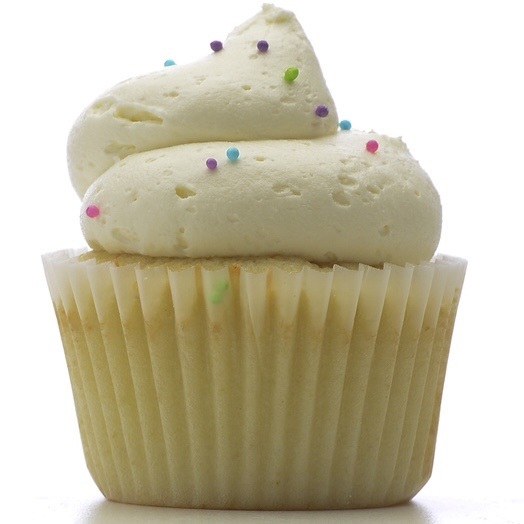 A moist vanilla tie dye cupcake topped with bright green buttercream and candy daisies. 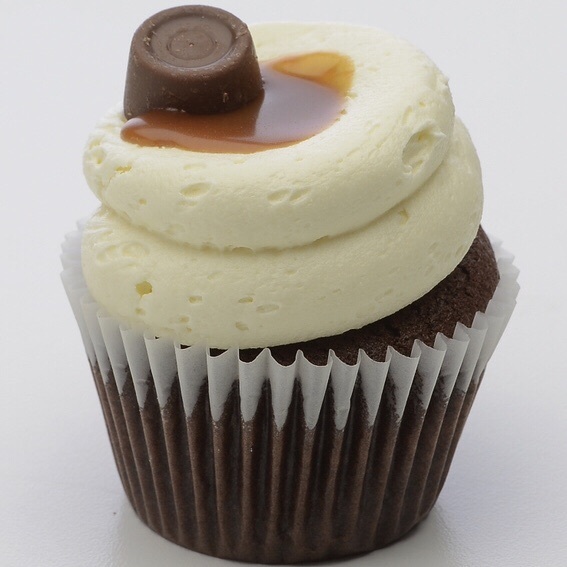 A moist devil's food cake, vanilla buttercream, a puddle of our home made caramel sauce and a solo Rolo. May the fudge be with you! 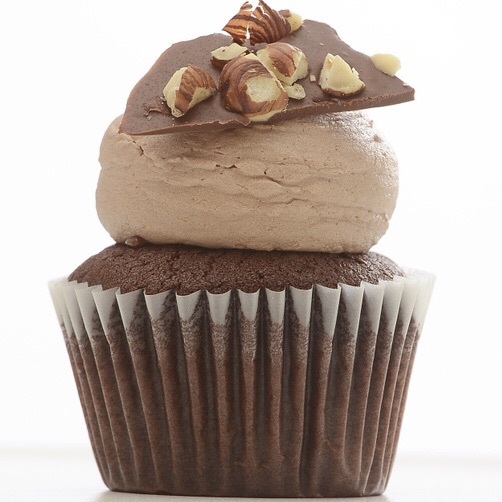 Chocolate and hazelnut. Need we say more? 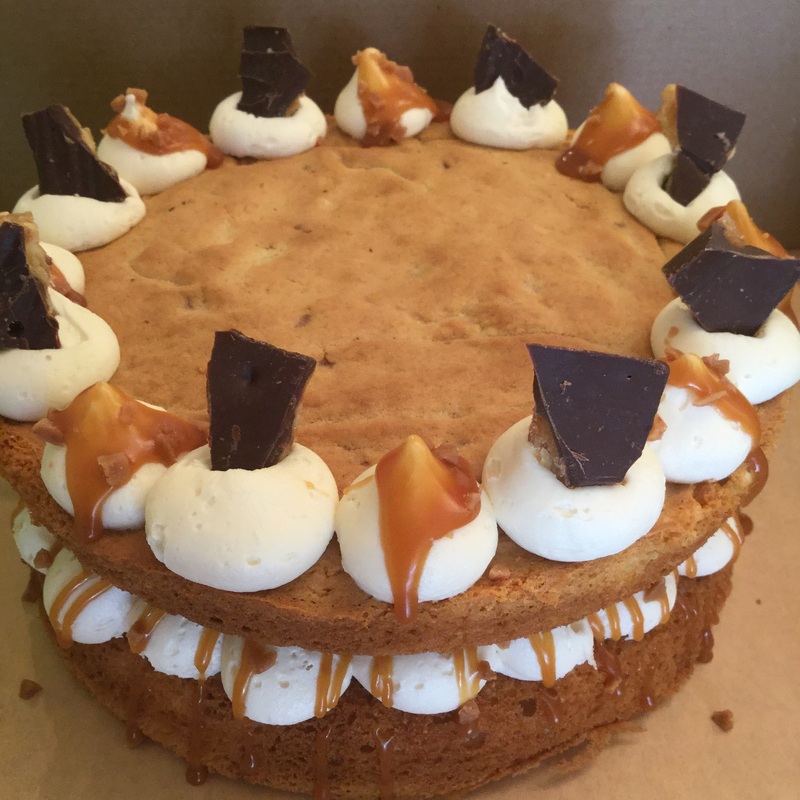 A delicious vanilla cake baked with Skor bits, topped with vanilla buttercream, more toffee bits, homemade caramel sauce and a wedge of homemade Skor. Peanut butter, banana and bacon. 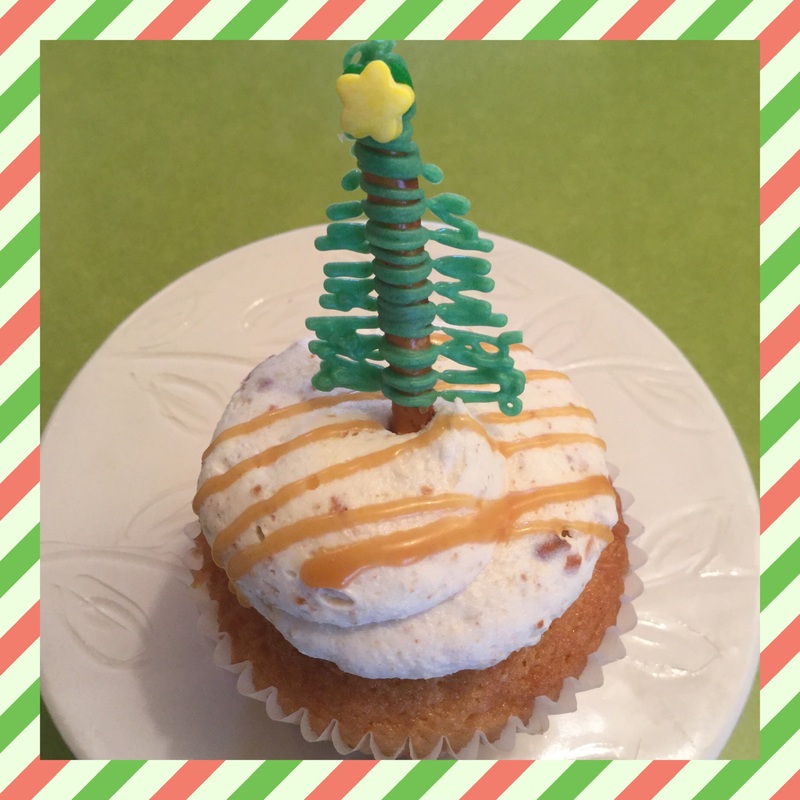 Banana cake swirled with a smooth peanut butter buttercream and topped with a strip of candied bacon. 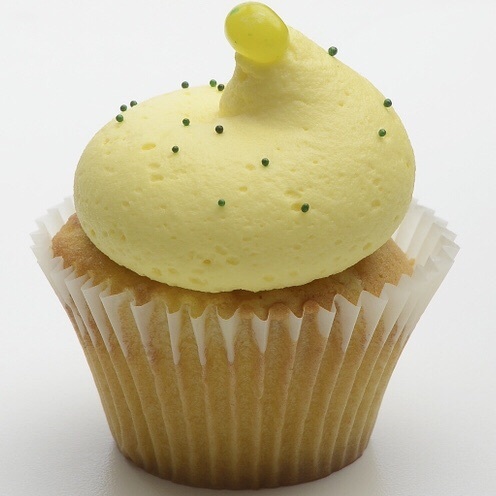 Our signature lime cupcake with a graham cracker base, and filled with lime curd, topped with lime zest buttercream. Our tart lemon cake with a sweet raspberry buttercream, topped with a Swedish berry. Lime cake topped with smooth coconut buttercream and toasted coconut. 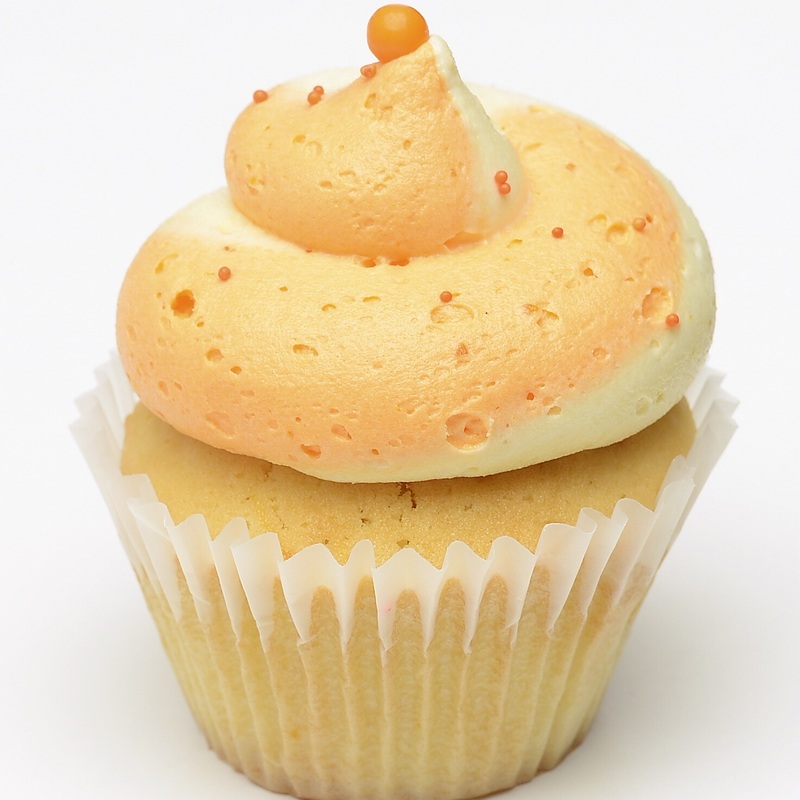 A moist mango cake, covered with a real mango buttercream. Not sure if it's a vanilla or chocolate day? Have both! And top it off with an Aero ball. 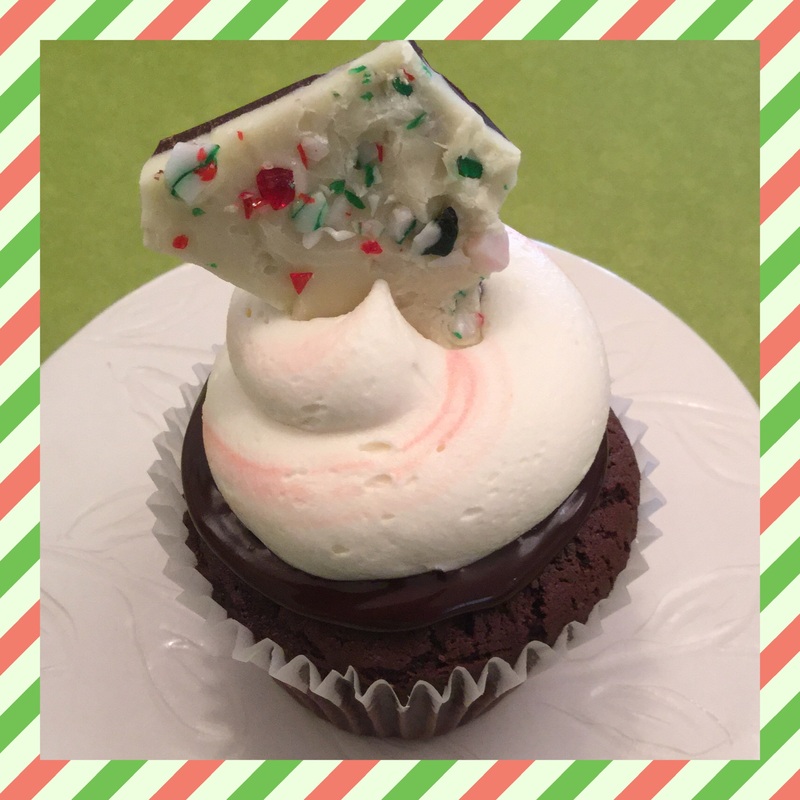 Devil's food cake with chocolate ganache, cool mint buttercream, chocolate drizzle and a mint Aero ball. Chocolate, vanilla and strawberry. That says it all. Traditional vanilla cake with fudge chocolate icing. Sweet and simple. 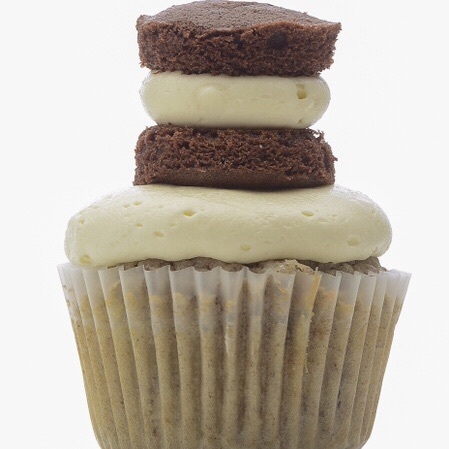 A moist chocolate cake, topped with a smooth peanut butter buttercream. Sprinkled with Reese's pieces. 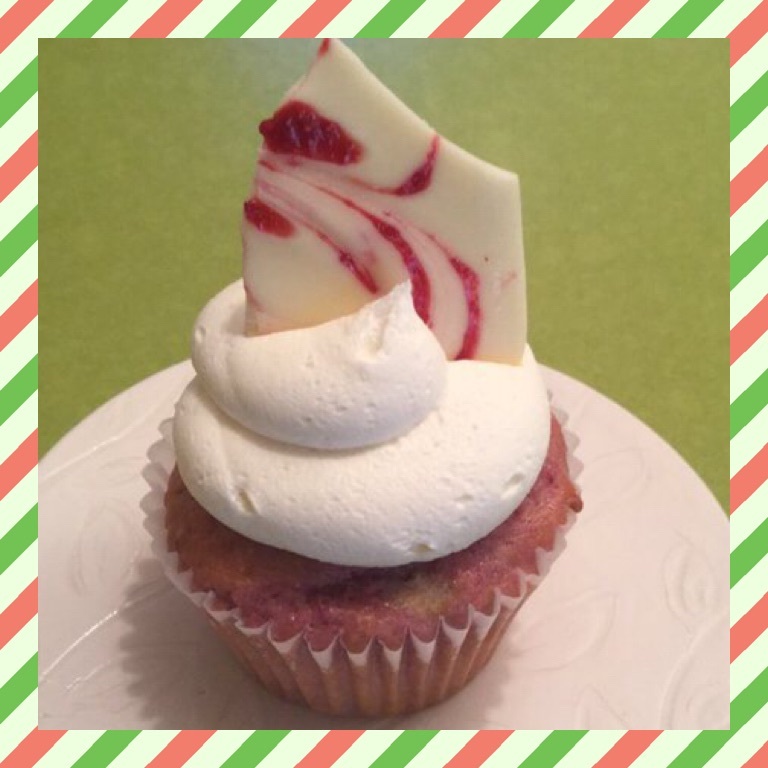 Raspberry cake, white chocolate buttercream and a piece of white chocolate bark. 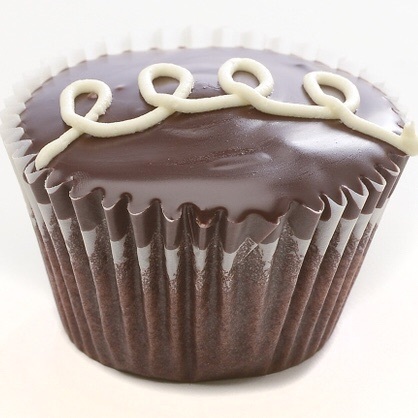 Our devil's food cake topped with a blob of salted caramel buttercream, drizzled with ganache and caramel sauce, and topped with a piece of Turtle. 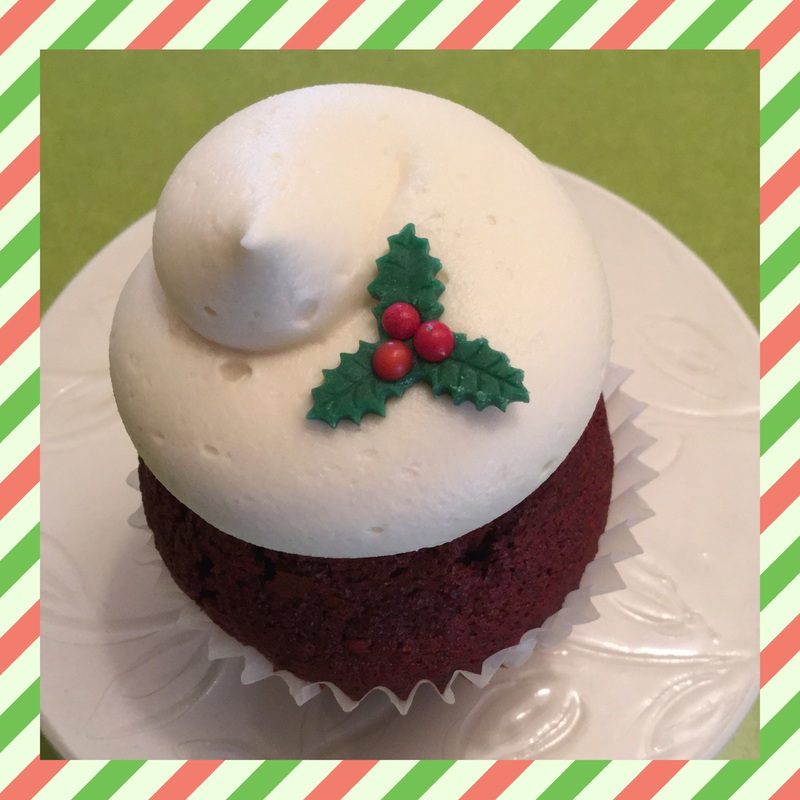 A classic southern red velvet cake made with buttermilk and a hint of cocoa. 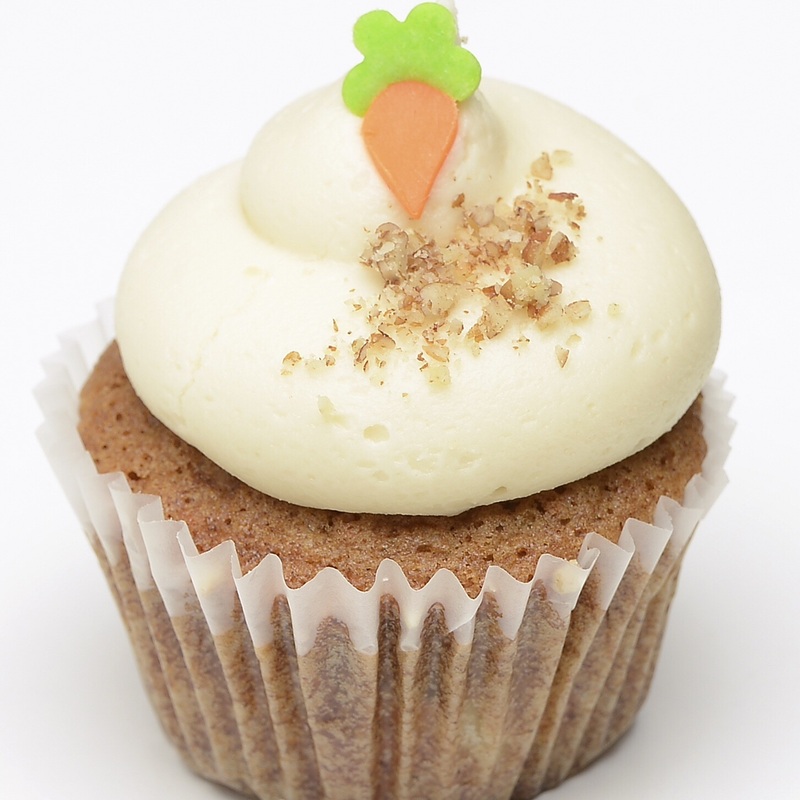 Complimented by our smooth cream cheese frosting. Vanilla cake and strawberry buttercream. A layer of graham cracker crust, cheesecake, and strawberry cake topped with cream cheese icing and a touch of strawberry buttercream. A maple French toast cake swirled with maple buttercream and topped with a sprinkle of candied bacon. 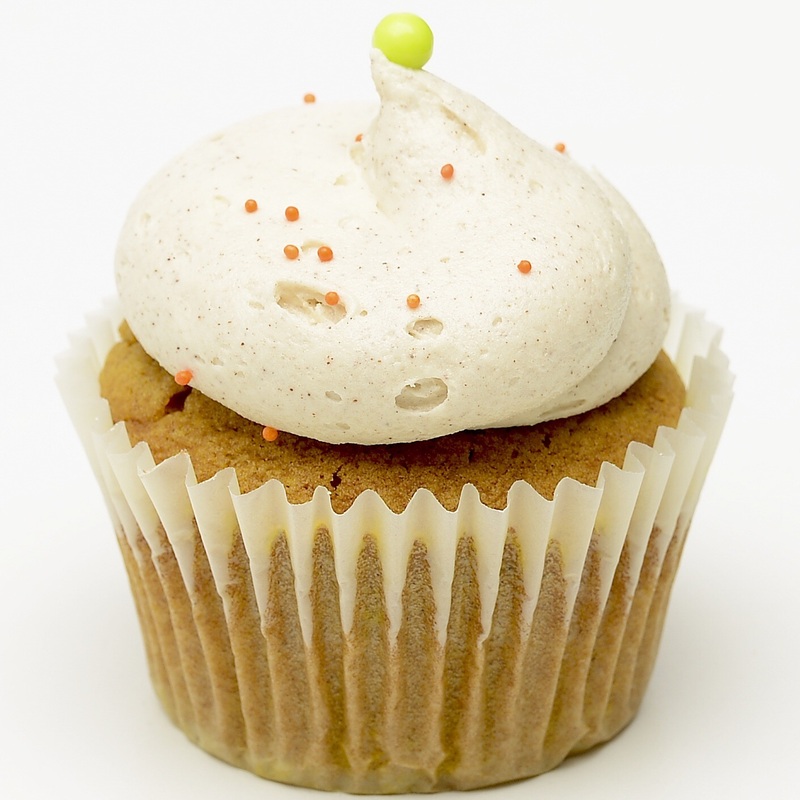 Heavenly pumpkin spice cake topped with a smooth vanilla buttercream. 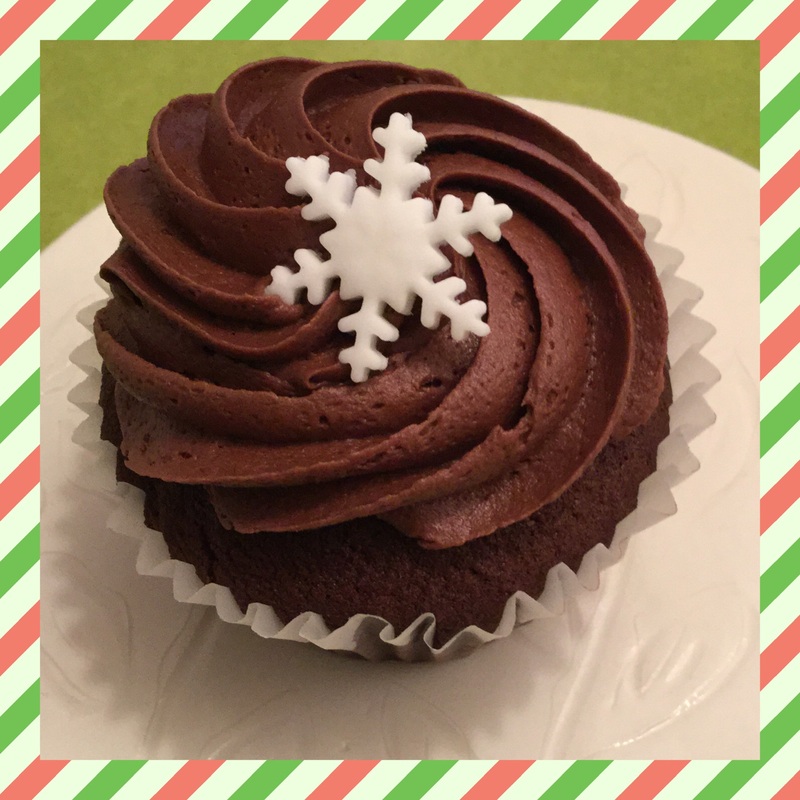 A chocolate cupcake topped with chocolate buttercream and piled high with penny treats. 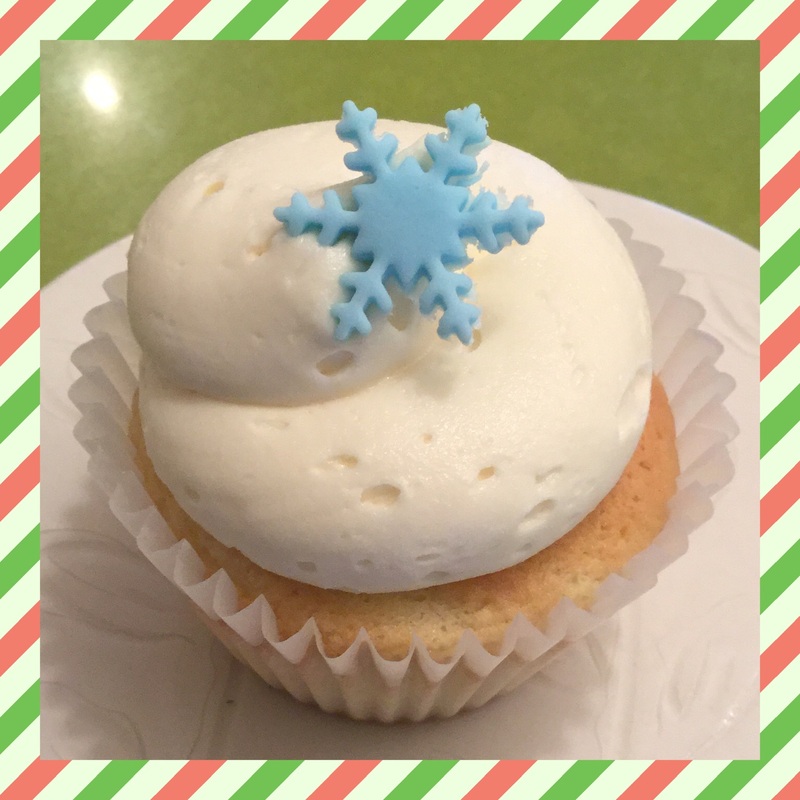 Classic vanilla cake topped with a traditional vanilla buttercream. Moist carrot cake filled with pecans, pineapple and raisins. 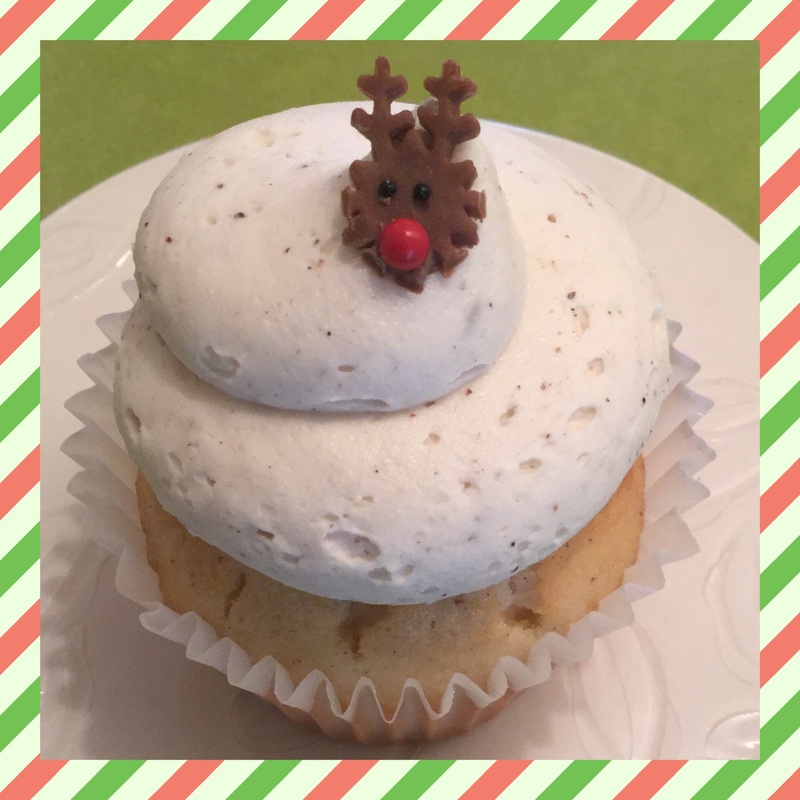 Topped with cream cheese frosting. 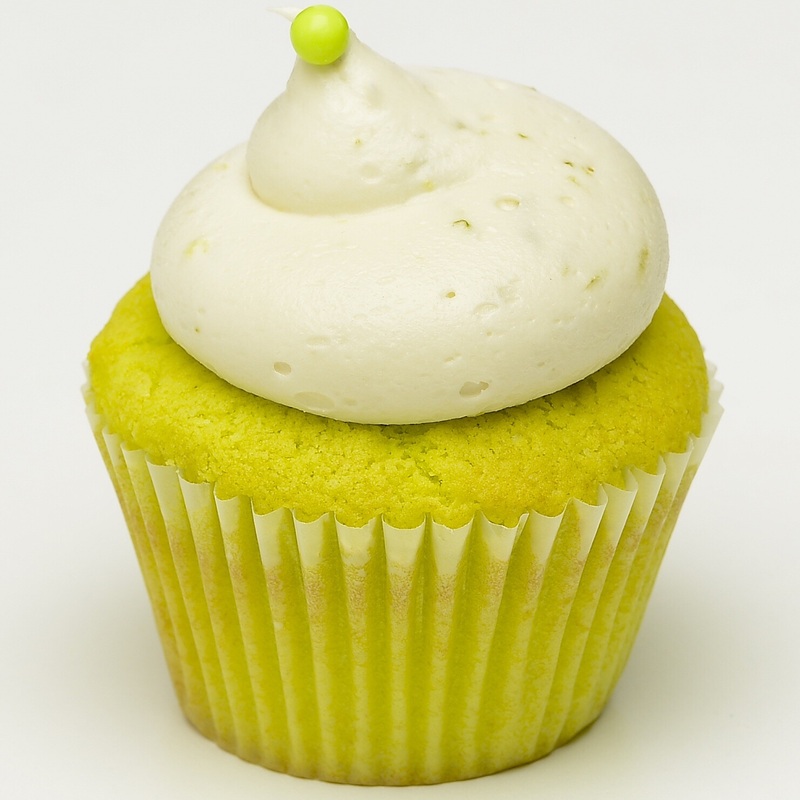 A zesty lime green cupcake complimented with a fresh lime infused cream cheese frosting. Yes, it's true! A giant whoopie about 10 times the size of our regular whoopies. A tasty and unique way to celebrate. We can personalize an inscription on top, too. All the flavour packed into a smaller version. Great for any function! Two bite treats. Available in all our flavours and totally fun!